Use voice notes for verbal instruction! 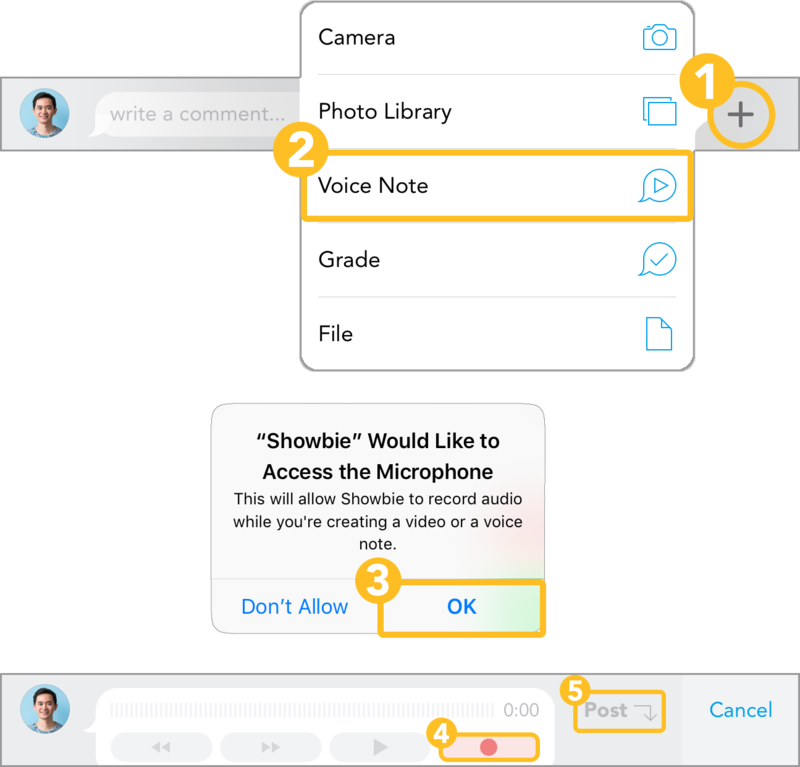 Using Showbie, you can easily share Voice Notes with your students. Use voice notes to engage with your students even if they’re not in class! Once you're done, tap Post to add the voice note. Please be sure to allow access to the microphone! If you need to allow access, you can do so manually in your iPad’s settings.